A light brunch with friends in the Village today. 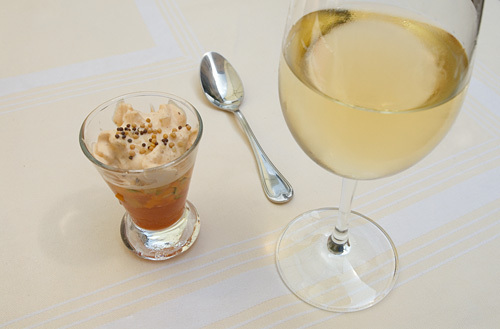 2004 Petit Chablis, Dme Séguinot-Bordet, France. 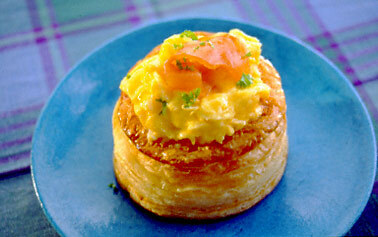 Vol-au-vent, filled with scrambled eggs and osetra caviar, topped with smoked salmon. 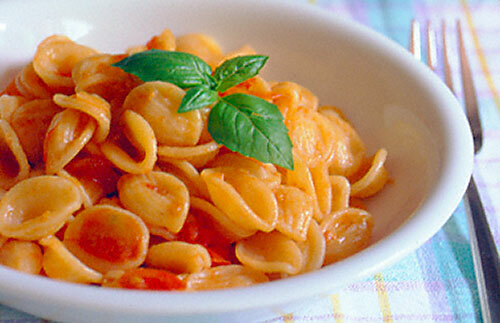 Orecchiette with tomato, pancetta and caramelized onion. Then, my camera died. Stupid batteries. 08 Jan	This entry was published on January 8, 2007 at 8:53 am and is filed under food, general, New York City. Bookmark the permalink. Follow any comments here with the RSS feed for this post.